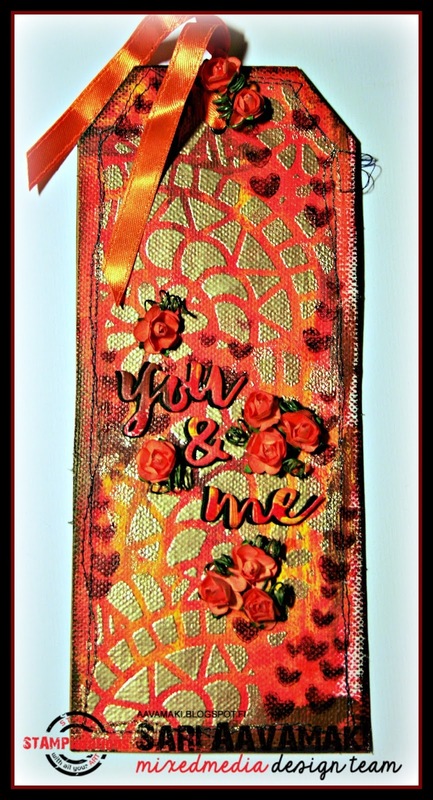 Balloons and Banners stamp set, to create this warm tag. you are having a wonderful time, hugs! Wow, the work you put into this tag is so evident. It's so vibrant, so classy. Thanks for sharing it. Beautiful tag, love the gold and stitching you added. Love the textures and color combo! Pretty tag! Fabulous Mixed Media tag! Love the nearly hidden message! Ooooh, that is soooo pretty! Gorgeous color. Very pretty! Love your tag.